Certainly, great Kochos--huge potential--lies within these upcoming days. Let us remember that (although the war against the Greeks may have ensued for years hence) the battles for which we celebrate Chanukah culminating in the rededication of the Bais HaMikdash were successfully concluded on the 24th/25th of Kislev. This, then, means that the actual miracle-filled clashes of the physically weak against the bodily strong, of a few brothers against armored battalions, of the piercing Kol Yaakov against the adroit Yedei Esav, took place on our calendar perhaps today and certainly in the days just ahead. 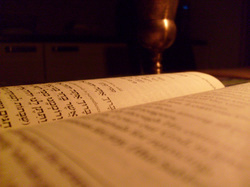 If we can take the lesson of the incomparable power of Tefillah--and especially infuse them with special pleas for Yeshua during this month--we may be able to bring ourselves over the top. Yeshua - salvation - is definitely not an nsurmountable task. A very simple place we can begin is with the words “Ki Lishuasecha Kivinu Kol HaYom” (we await Your salvation every day) in Shemone Esrei. 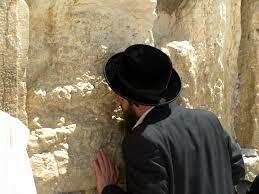 We have often heard that ‘Yeshuas Hashem KeHeref Ayin--the Yeshua of Hashem can come with the blink of an eye’. When reciting the words of Ki Lishuasecha three times daily--perhaps we can raise our Emunah level by closing our eyes and hoping, picturing and feeling the Yeshua coming in that instant.